Japanese people love corners. They want to secure the corner seats when they ride trains and when they go to surrounding cafes. Somehow corners calm them down. 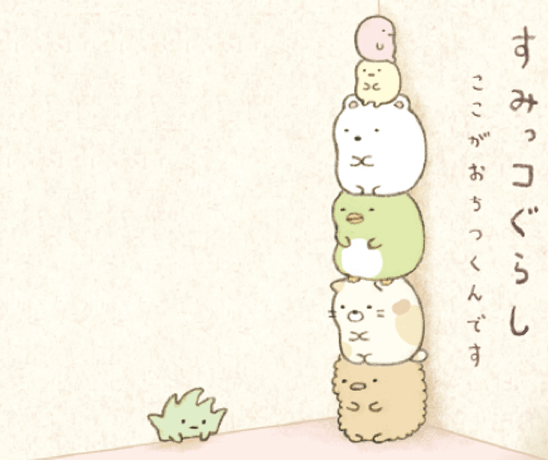 The Sumikkogurashi character appears with this feeling as a theme. The always cold Shirokuma, confidence lacking Pengin?, leftover food(?!) Tonkatsu, and other characters appear as a wee bit negative but with great individual personalities. He ran away from the north. An always cold and strangers fearing bear. He calms down when he drinks warm tea in the corner. An always shy cat. Often facing towards the corner she sharpens her claws. Someday he dreams of being in a bouquet from the florist. Having this dream, he is a positive weed. We are in the corner! Yay! Shirokuma's luggage. He can use it to hold his spot. 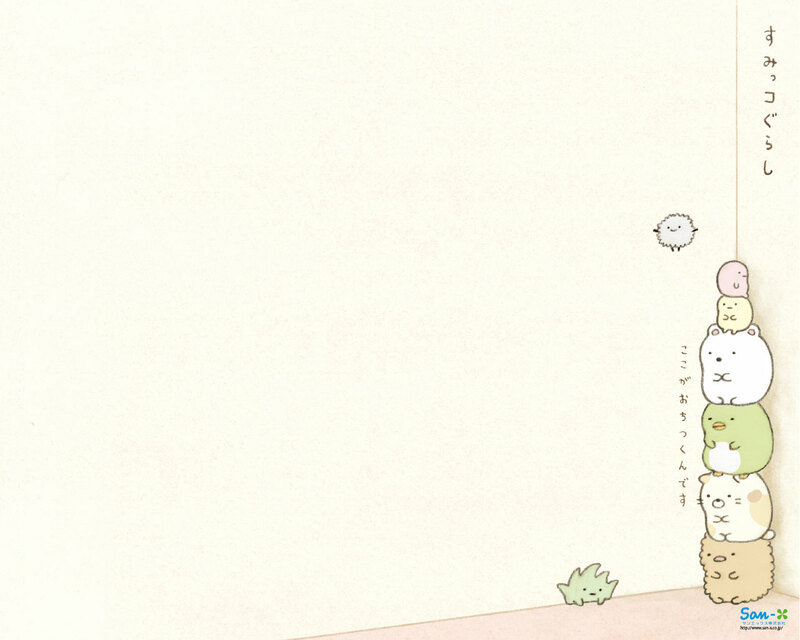 Just released by San-X, Sumikkogurashi is a new character and touches upon how shy Japanese people can be. It's a little negative and points out that Japanese people like to hide in corners since they are usually extremely shy... Sitting in the corner of a cafe or on the train makes them feel relaxed. So all of our new character friends all have some issue in their personality which makes them like hiding in the corner. In particular, Pengin? seems to be having an identity crisis and he even puts a "?" after his name since he's not even sure if he's a penguin! He used to go around with a plate on his head which made him look like a kappa and not a penguin and thus presumably caused the question of identity. 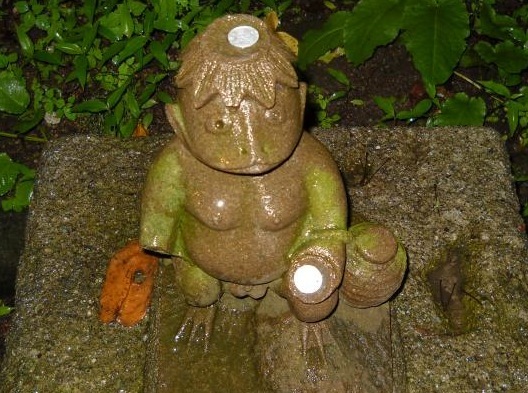 Kappa seem to turn up a lot in Japanese folklore and characters and two other San-X characters have kappa themes: Chokotto Iikoto! and Sabokappa. 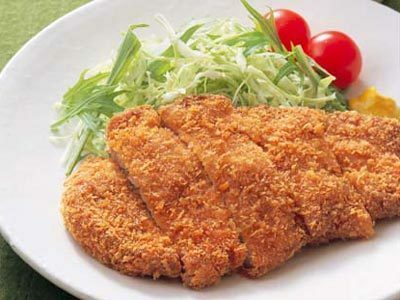 The Tonkatsu character of Sumikkogurashi comes from the crumbs leftover from the tonkatsu meal and only his pink nose is the 1% meat. 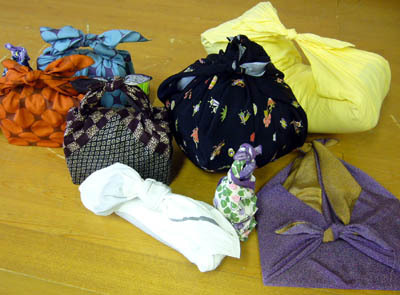 Shirokuma uses a furoshiki to tie up his belongings when he ran away from the north. This information is awesome! I just bought a sumikkogurashi bag today at Kiddy Land in Harajuku and now I understand what makes it so freakin adorable! Thank you! so glad i have found this website! Thanks for your effort to translate them! i really adore san-x characters.. now i know more about these cute funny stories behind the characters :3 I really like it when japanese can turn anything (even dust, weed, pork cutlet etc) into a cute sweet thing! kawaii desune!! 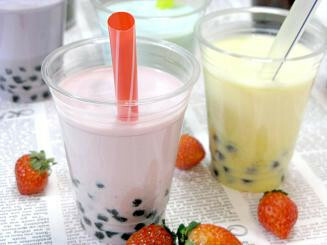 I am from malaysia and someday i must visit Japan! This is so cute omfg I love these characters, thank you for translating! THANK YOU SO MUCH!! I LOVE READING UR SITE AND THE INFO ALWAYS MAKES MY DAY COS I ADORE SAN-X CHARACTERS BUT OFTEN DONT KNOW THE STORY BEHIND THEM. 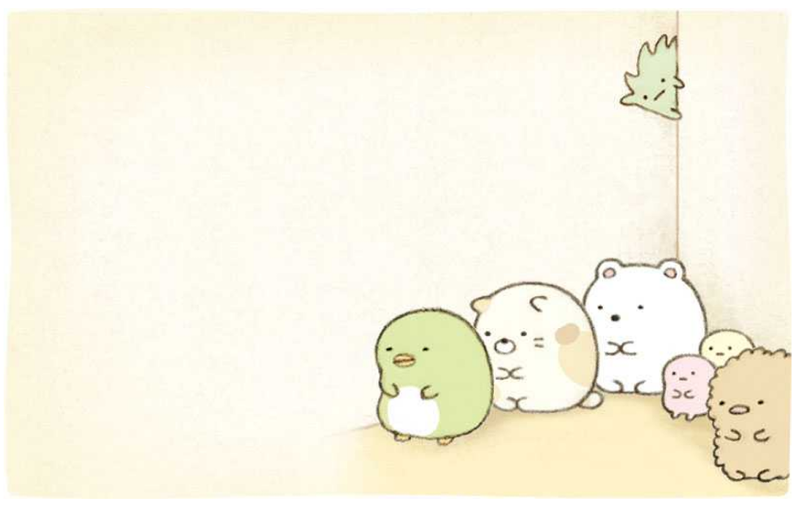 UR SITE IS SO ORGANISED AND THE INFO IS SHORT AND SWEET :D I USED TO THINK THAT SUMIKKOGURASHI WASNT ONE OF SAN-X'S MORE ADORABLE CREATIONS BUT THE STORY HAS TOTALLY CHANGED MY PERSPECTIVE~~ <333 ARIGATOOO GOZAIMASU! Thank you for visiting and reading the stories of San-X. :) I'm glad my translations are helping! Thank you for writing this up, i bought a Shirokuma plushie at a convention a few days ago and had no idea what brand it was. I also looked up more about San-x though your site i'll definitely be buying more from them in the future. I grew up eating kappamakki all my life and never knew why it was named this. Now I know about kappa and all these cute characters who want to hide in the corner like me. thanks for this blog. you guys missed the blue dinossaur, the smal snail and the little bird characters!! please add them as well! nevertheless, great article! Suzume （すずめ）, the little brown sparrow, Ebi Furai no Shippo　（えびふらいのしっぽ）, the tail of Fried Shrimp and Tokage　（とかげ）, the blue lizard are missing!! What is the shrimp's name can anyone tell me? What about the ghost character? i collect them and i just got my brother to start liking them too ! hi i am new here can someone tell me what to do. where is suzume the little sparrow,bub? Hi! 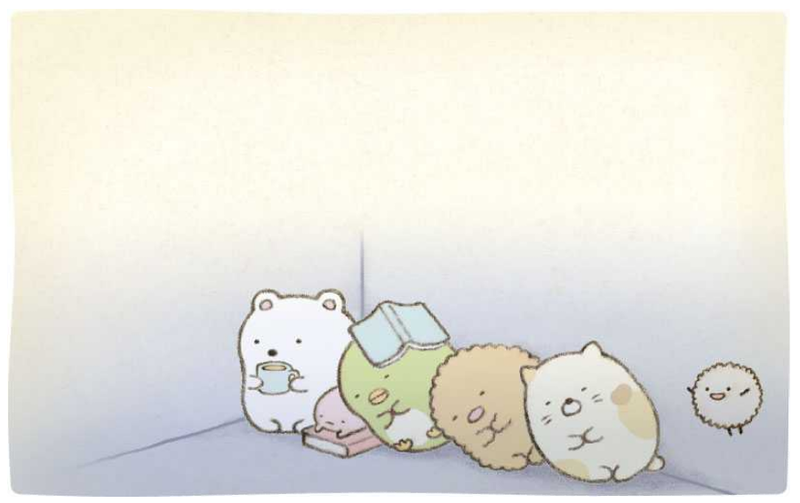 I just learnt about Sumikko Gurashi and am in love with it! I went to their website and saw their introduction and am a little confused and concerned. Using Google Tramslate, in the last paragraph, it mentions something about suicide. Please can you kindly explain why? Thank you! I’m obsessed with these little guys and even draw them myself. Shirokuma forever!! !